Welcome to the Thunder Bun! A brand new concept from the Schnipper’s brothers. Located across from the Whitehall Terminal in FiDi. They offer an array of delicious Burgers, chicken and veggie sandwiches as well as market sides like elote and roasted broccoli. One sandwich and a side will only set you back $8!!! You gotta go check it out. Pictured: The Roadside, topped with Taylor ham, hot cherry peppers, griddled onions, American cheese, mayo and BBQ sauce. It’s my 2nd fave Burg on the menu. My fave? Its’ the Specialty of the house; Thunder Bun – Smashed with onions and Double American cheese on a steamed potato bun. 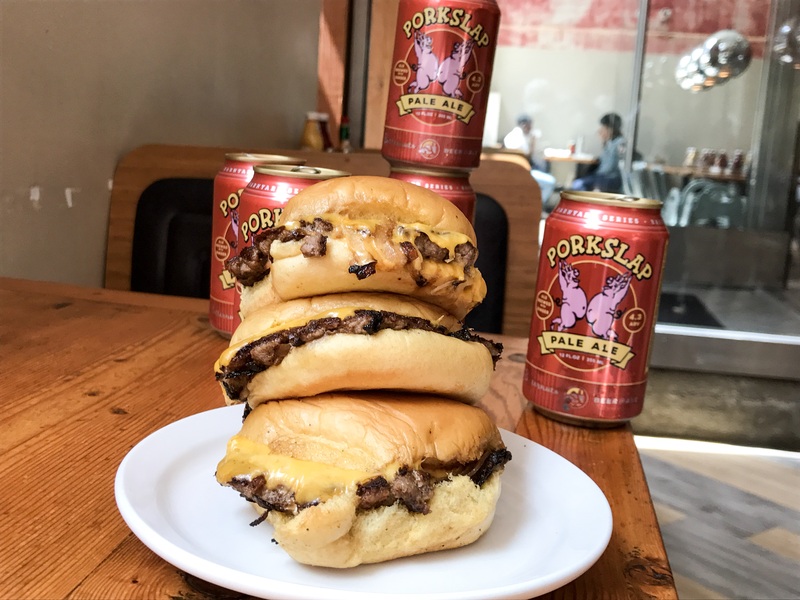 If you like properly made Detroit or NJ sliders and / or Kansas City onion Burgers, you are going to want to eat this. 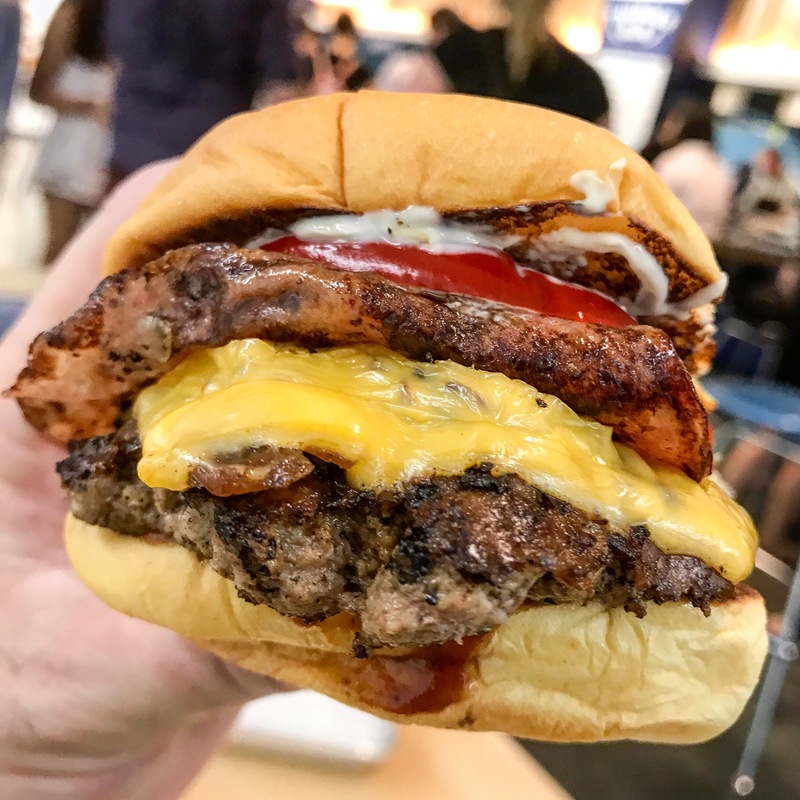 This entry was posted in Best Burger in New York, Burgers, New York, Sliders and tagged Andrew Schnipper, burger, Cheeseburger, expert Burger taster, Jonathan Schnipper, schnippers, slider, thunder bun. Bookmark the permalink.